Maybe it's because I'm getting older but I'm definitely gravitating more towards skincare lately. My mum has incredible skin and, as much as I'm hoping it's genetic, I do also remember her religiously sticking to her skincare routine. 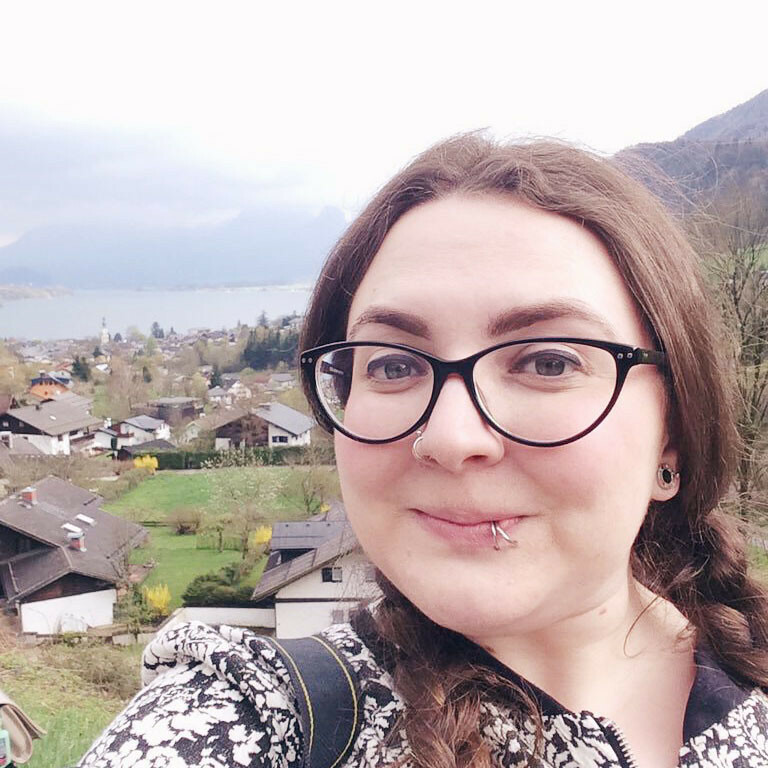 With this in mind, when the folk at BeautyExpert offered to send me some of their best skincare products, I was keen to try them out. Straight away, the packaging makes me believe that StriVectin mean business. It's almost clinical, with clear bold text listing percentages, medical-looking codes and technical vocabulary. It even comes with a folded information leaflet in the box just like medication. Medicine for my face? Sounds good! 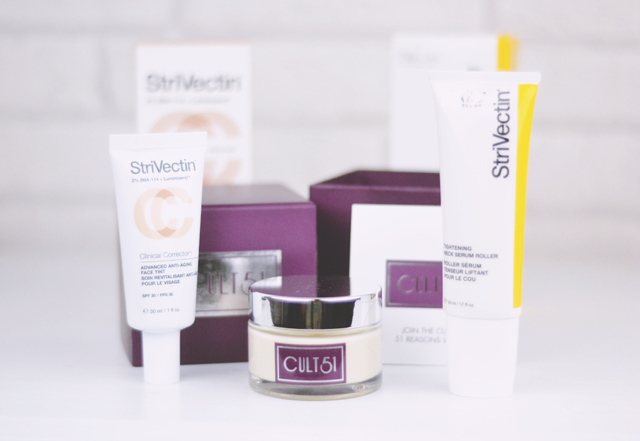 Despite the vague name, StriVectin Clinical Corrector is a multi-purpose miracle product. On the surface, it's your standard BB cream, but it promises much more than that. 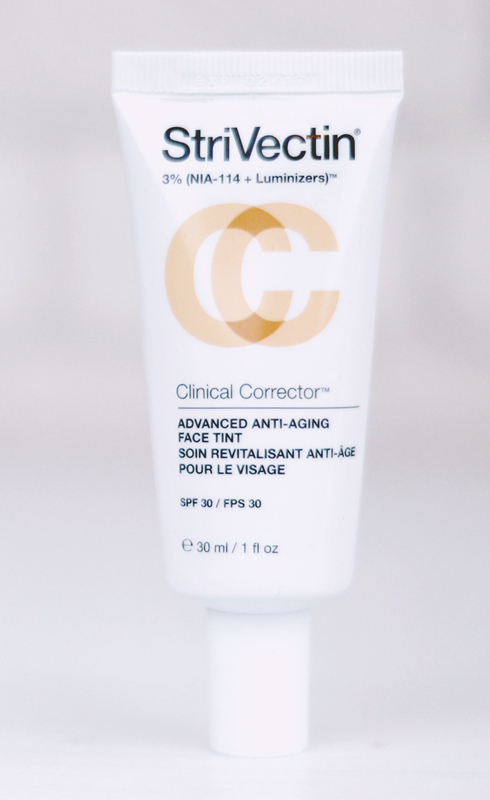 With StriVectin's patented NIA-114 molecule, it is formulated to even and brighten skintone, restore smoothness and reduce pores. It also has SPF30 which is always a big plus for me. StriVectin Clinical Corrector comes in a 30ml tube with a nozzle dispenser. When the product is squeezed out of the tube, it's revealed to be a thick beige cream. On application, I found the thickness of the cream makes it quite difficult to smooth into the skin but it certainly does even out skintone and gives my face a luminous appearance. There is a subtle and quite pleasant floral fragrance, and my skin feels smooth and lightweight. Despite the (frankly quite scary) warnings that the NIA-114 molecule can cause blush, warmth or tingling for up to 2 hours, I'm happy to report that I had no adverse reaction. Phew! I can't lie to you guys- I've been freaking out about my neck. I've got a weird line right across it that makes me look like a half-decapitated worm so I'm crazy eager to try products that might help. This serum comes in a 50ml tube but, instead of a nozzle like the Clinical Corrector, it has a really fancy metal roller. A bit like a paint roller for your neck. 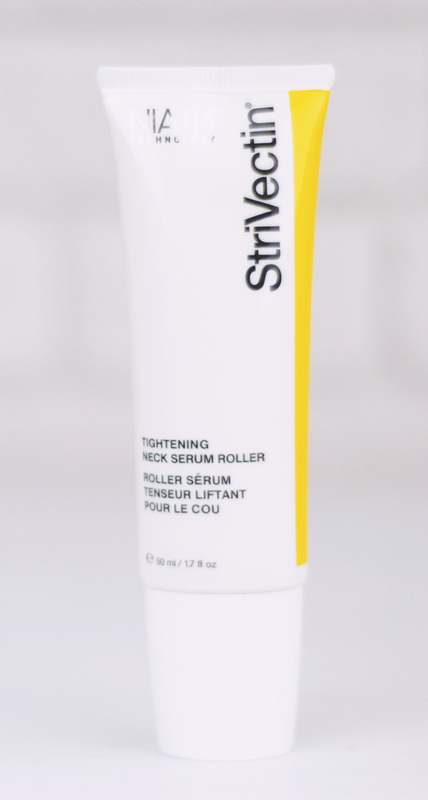 To apply, twist the roller, gently squeeze the tube and roll the gel-like serum onto neck and jaw. At first the serum feels a little tight, but then I would expect that from a tightening neck serum. Once dry, however, it leaves my neck feeling smooth and moisturised. Unlike the Clinical Corrector, this product has quite a heavy fragrance which is a fruity floral with an almost alcoholic note. It's certainly not unpleasant, and as it's applied to the neck, it's not too overpowering. At the moment, my worm line is still there but I'll continue to use it so watch this space! As soon as I saw Cult 51, I couldn't wait to try it out. Packaged in a gorgeous purple box which opens to reveal a glass pot delicately placed inside, it screams luxury. As a night cream, I was expecting it to be very thick but was surprised by how lightweight the cream was. Once applied, it absorbs super quickly and leaves my skin feeling incredibly soft and smooth with no greasiness at all. Just a tiny bit of cream covers the whole face so, although it's certainly a high end product, a 50ml pot lasts a very long time. The powdery fragrance is fairly subtle with notes of jasmine, gardenia and rose and is a scent that I'm very happy to have longering on my skin. There are a whopping 51 benefits, ranging from the aesthetic (brightens skin and reduces dark circles) to the technical (increases cellular energy by 40%), and I'm happy to confirm that it instantly gives my skin a luminous appearance and velvety texture. Final verdict? I'm in love. 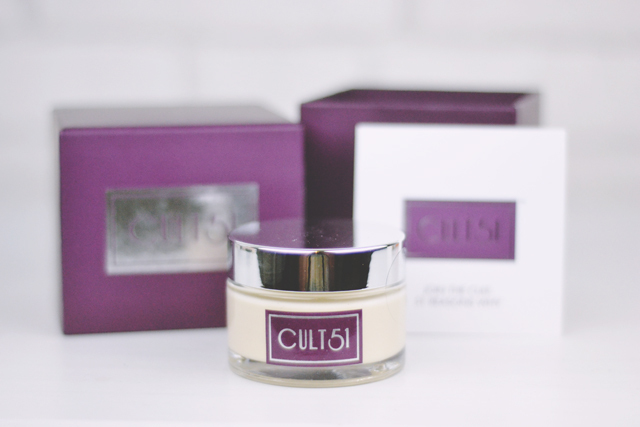 I was assured that Cult 51 was "magic in a tub" and I'm inclined to agree! I think my skincare bar has just been raised!